The modular M 700 allows the simultaneous measurement of up to three parameters, e.g. pH/ORP, DO and conductivity. The unique ?plug & play? concept and the modularity of the measuring system provides flexible solutions precisely tuned to the measuring task. The system has three user-selectable slots for measuring and communication modules and offers a wide range of powerful features through a menu driven set-up program. The modular concept allows integration of up to three modules into one basic instrument. Double channel measurement reduces total costs per measuring loop typical for fermentation processes (pH/DO) or redundant measurement in chemical processes (pH/pH). 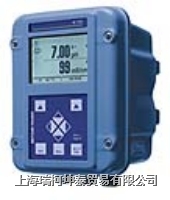 The M 700 has no communication limitations. Modules for PROFIBUS? PA and extended output modules fully integrate the M 700 into all control systems. Enclosure designs are available for all application areas / environments, e.g. for hazardous areas and hygienic environments. The freely selectable software functions (extended logbook, FDA 21 CFR Part 11 compliance support, ServiceScope etc.) increase safety, performance and diagnostics. Enclosure designs are available for all application areas / environments: the polished stainless steel version (M 700S) is designed for hygienic applications and the two coated versions (M 700C and M 700XC) for applications in harsh environments (Ex and non-Ex).